Since I was In the city yesterday morning I got to quickly try on some of the New York City Marathon Limited Edition Lululemon products. I really loved the Home Stretch Crew but it was very pricey at $198 and sine I’d already tapped out my shopping money I left it behind. I thought I wouldn’t like so much of the reflective material on it and that it would be this big silver area of obviously reflective screen print but actually, in person it was goldish and looked really pretty. My husband didn’t care for it, I loved it. The Home Stretch Crew was tried on in my usual size 10 and it fit well and comfortably however I expected it to be roomier and perhaps longer. It was snug fitting in the hip area. 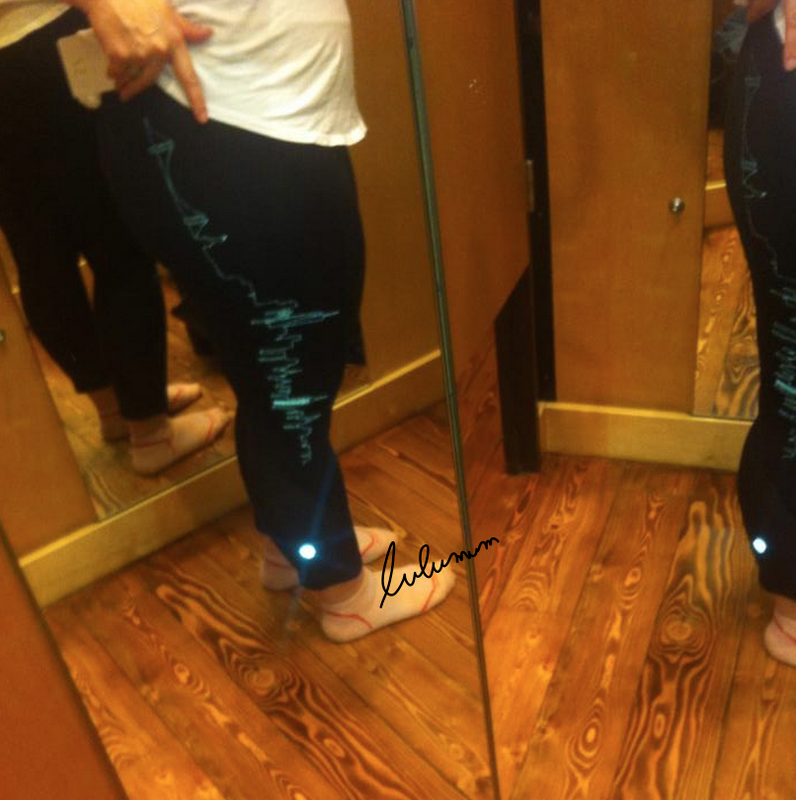 The Run Inspire Crops where really cool too. 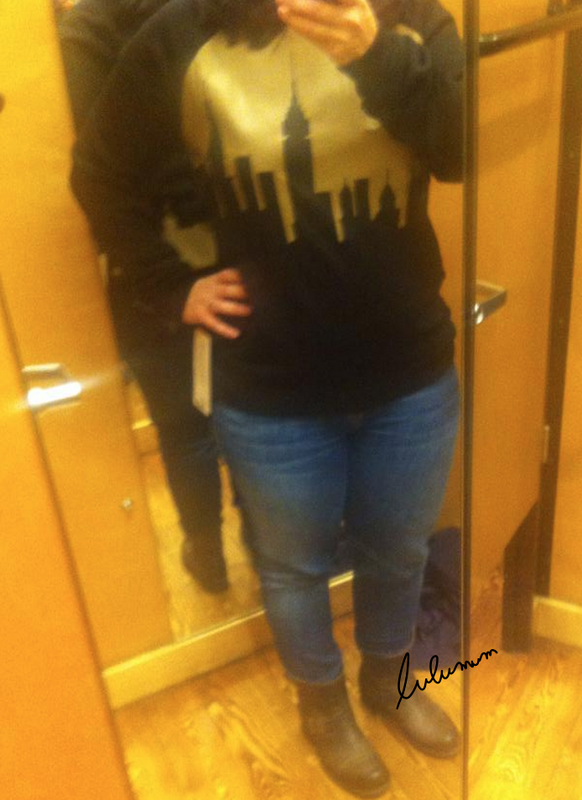 The city skyline runs down the right leg and on the inside of the pants in the waist it says ‘#beenthererunthat NYC 2014’. I really loved these items and I wish they had more to choose from such as a Cool Racerback with the skyline (in outline like the crops) and 105F Singlets. I think having a few skyline options on the Home Stretch Crew would have been cool too. One with this skyline, another one with just the outline of the skyline, and maybe a reverse version of the print above. "Flaming Tomato 105F Singlet, Diamond Jacquard Wunder Unders and Forme Jacket, Marshmallow Stripe CRB, Geo Soul Print Tracker II Shorts"